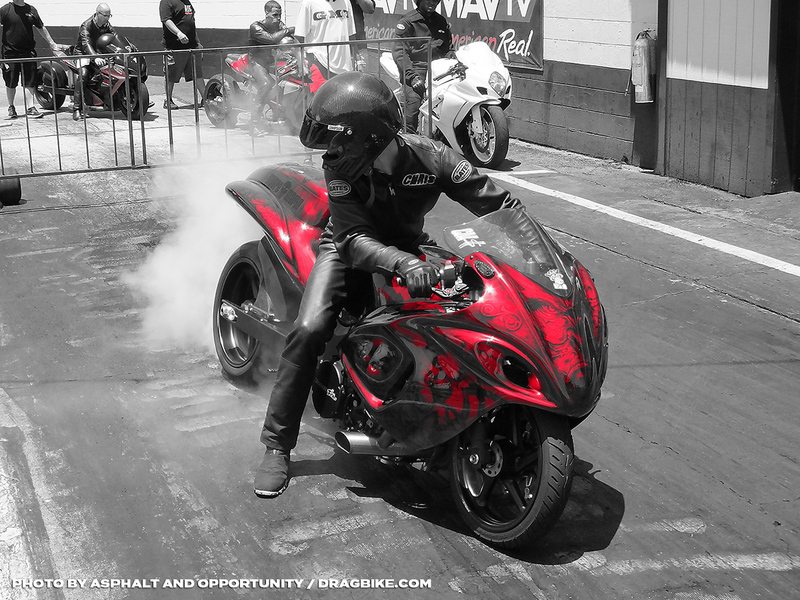 A lot of people knew that one day… there was a good possibility that a strong turbo bike with a nitrous combination would come into grudge and change the game. Many thought that it would probably be a Rodney Williford build or possibly Frankie Stotz on his Honda Turbo Grudge setup. I don’t think that many people were prepared for the 2018 version of “Cash is King” and what it has bought to grudge racing this season. 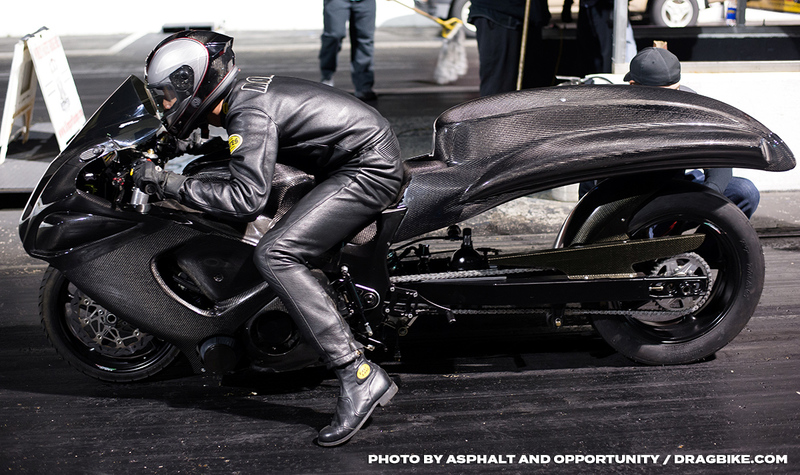 The bike leaves the line smooth… it’s fast and remarkably consistent on every run which makes it very tough to beat. As TEAM MOORE MAFIA prepares for a BIG 8 three-peat at MEGAFEST 2K18 sponsored by FBR Shop at Virginia Motorsports Park this weekend…. remember that CASH wasn’t always The King. It took some head bruises and a lot of late nights in the shop to get it to where it is today. In this edition of BUILT TO WIN, we sat down with Chris Moore of Team Moore Mafia, and we asked the tough questions that everyone has been asking all season long. I remember several years back when you first introduced CASH is KING on the grudge scene. It’s never easy trying to win straight out of the gate with a new grudge NITROUS build, and you went through a lot of ups and downs with the setup. Tell us about the growing pains that bought about the changes over the years from 2014 to now and how you came to the decision to go with a Turbo/Nitrous combination? My nitrous bike is still out there running. It is currently being ridden by my brother Alex Moore (current Heavy Hitters points leader). It is the same bike it has always been, but it now has a Motec standalone ECU tuned by Moore Mafia’s BJ Humphries. 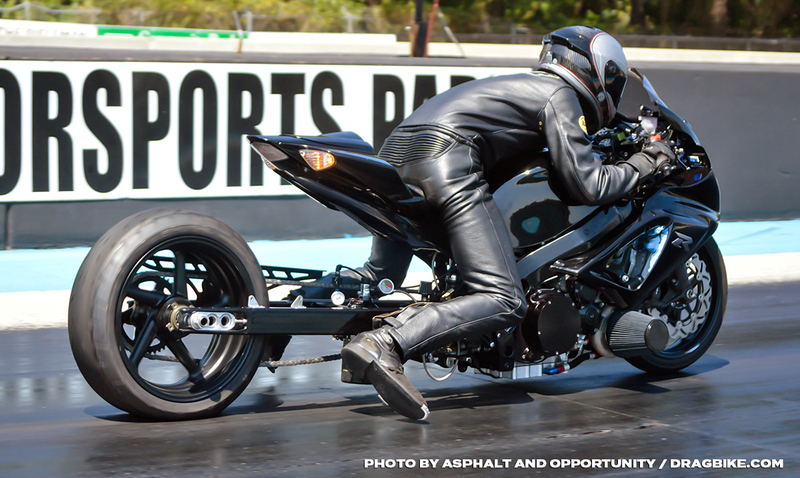 I decided to build myself the new CASH IS KING last year after riding Damian Caruso’s turbo GSX-R 1K (Black Mamba). I fell in love with the turbo setup. I have always been big into turbo cars, but I had never played with them on a bike. When I built the bike, it was made 100% to my specs and utterly different from a lot of other turbo PST bikes out there running. So far it has been an excellent combination, and I couldn’t have been happier with the way it turned out. 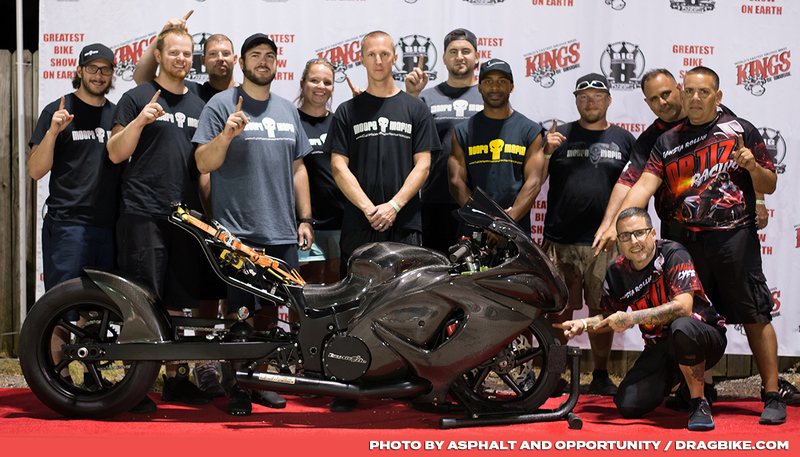 2018… It’s been an outstanding season so far for Team Moore Mafia… You’ve captured your first highly eluded Big 8 Crown at Kings of Grudge at Piedmont Dragway earlier this season after several years, and now you’re up for a 3-PEAT. Tell us about getting that BIG 8 monkey off of your back, some of your 2018 accomplishments thus far and what will it take to be the first Big 8 3-PEAT Champ? 2018 has been a dream season for us so far. I checked up short on the BIG 8 races in the past years, but this time I went back to the drawing board and did EVERYTHING it takes to WIN. Cash is King was built with the EXPECTATIONS to do what it has done. I have my fingers crossed to be the first 3-PEAT winner! Competition at the Big 8 level is always fierce, and no win comes easy. 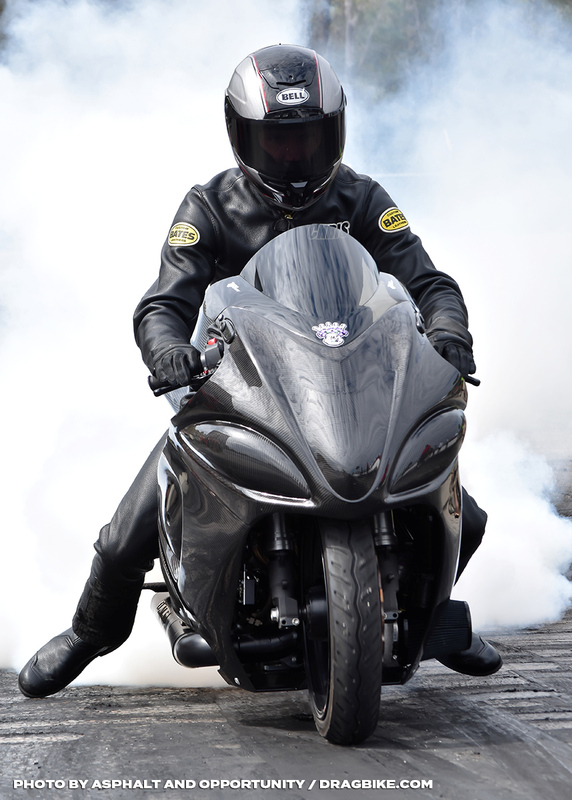 Many of the current Nitrous bike owners are in the shop this season trying to get faster and haven’t been out all season. They see that the competition is tough and it’s not going to get any easier over time. Do you think that with the constant changes in technology that eventually Turbo’s will get there own Turbo Grudge class? 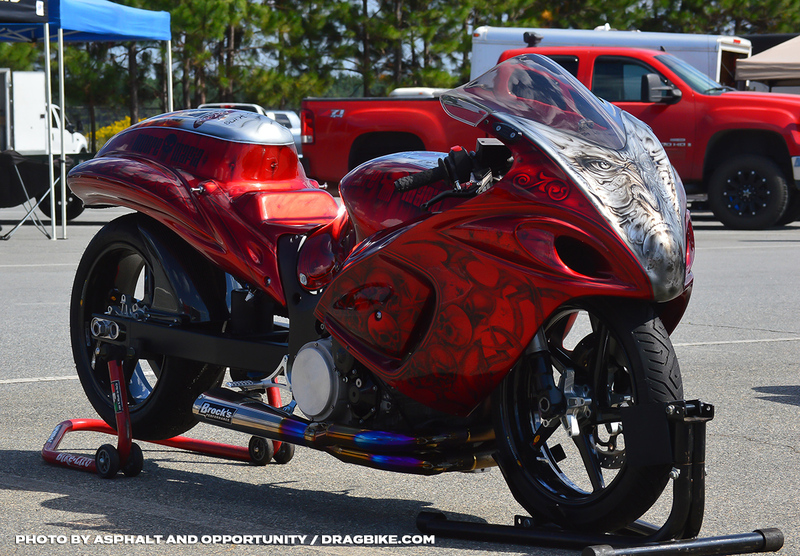 As long as they keep the racing in the 1/8th mile, either bike has a fair shot at winning. I feel like there is a tiny margin separating the best turbo bike vs the best nitrous bike. 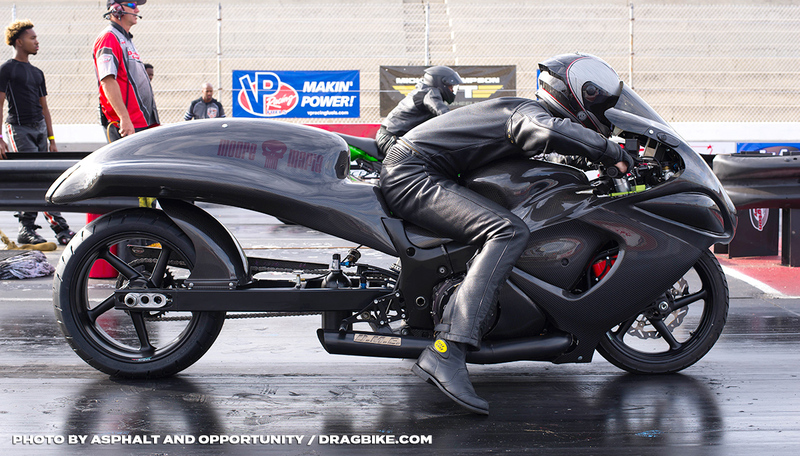 Now, of course, you can’t compare a bo bo nitrous bike to a top contender turbo bike. The same way you can’t compare a bo bo turbo bike to a top contender nitrous bike. At the end of the day…. It cost money to go fast….. A LOT. They sell the same parts to everyone. If you can’t run with the Big Dawgs stay on the porch. It can get kind of lonely at the top… but at the end of the day, you’re either going to WIN or you’re going to LOSE. What’s in store for Team Moore Mafia for the rest of the 2018 racing season? The remainder of the season is gonna be good tough competition. MOORE MAFIA hopes to Win the points championship in both of our classes. Big 8 and Heavy Hitters. 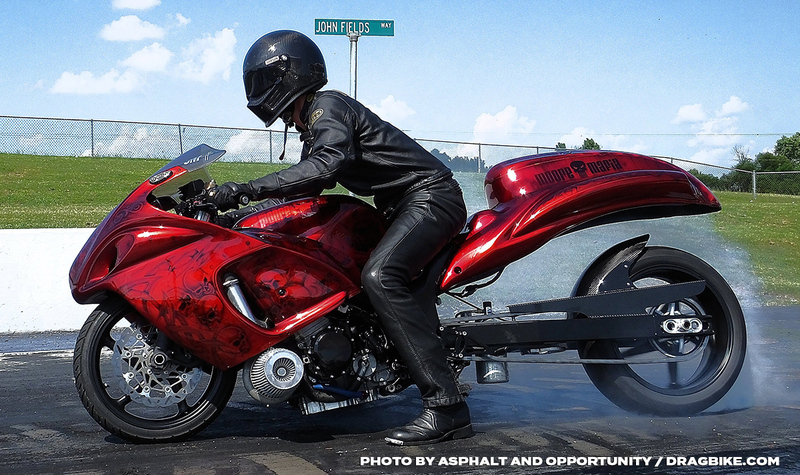 Keep in mind our Heavy Hitter bike is a NITROUS BIKE. See the Moore Mafia team and the top grudge racers in action this weekend at VMP for the Kings of Grudge MEGAFEST 2K18 and visit the Asphalt and Opportunity Facebook page for event coverage.